Comments: Creations by Cicci Australia is proud to bring you 60 years of expertise in the dance costume industry! Comments: In the flamboyant world of dance is a company with a mission to create outlandish costumes. BOLD. THEATRICAL. TRENDS. This is Dance Trends Australia. 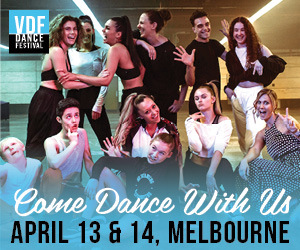 Comments: Since its launch in 2010 the Strut Stuff label has built a strong presence in the dance industry and in 2013 took the bold step into the costume spotlight; offering a comprehensive range of garments to Australian and New Zealand dance schools. This inspiring collection of pieces has been designed to mix and match, both within the collection and with a range of other popular pieces, providing dance teachers with greater choice and flexibility. Since the inaugural launch the collection has continued to grow and expand. The Strut Stuff costume collection is designed and distributed out of Brisbane, Queensland, providing dance schools with a locally owned costume option. Brand: Airy Fairy Dancewear was established in 1995. Over the past 23 years Airy Fairy has supplied costuming to the dance community throughout Australia and overseas. Products: Airy Fairy Costuming covers a wide range of costume styles, from dressing your little stars through to your showgirls. Brand: At Costume Gallery, you're not just buying costumes, you're buying peace of mind. Brand: Costume Glitz is a one-stop shop for quality costumes and dancewear. It offers a wide range of Jazz, Lyrical, Contemporary, Tap, Ballet, Hip-Hop and Character costumes. Location: Unit 5/7 Villiers Drive, Currumbin, Gold Coast, QLD, 4223. Products: All costumes are made to order, high quality and most importantly, affordable. Prices start from as little as $35 per costume! 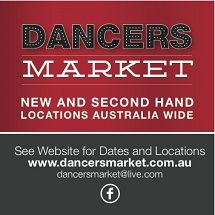 Location: The Front & Centre Dance Costumes show room is located in Mornington, VIC. Appointments available to view the range. Brand: In Stock Dance Costumes Australia offers a range of Jazz, Contemporary, Lyrical, Tap and Hip-Hop costumes. In its online store you will always see what it has "In Stock" that is ready to ship! The company doesn't take orders; it only sells what is "In Stock". Location: Gymea, Sydney, NSW, Australia. Brand: On Point Performance Costumes is a brand-new Australian based dance costume company. Brand: Stage Boutique offers dance costumes to dance teachers, studio owners, dance parents and dancers. 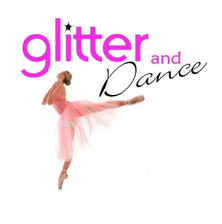 Products: Collection includes Lyrical Dresses, Jazz & Tap Costumes, Ballet Tutus, Contemporary & Jazz Unitards. Location: PO Box 3821, Burleigh Town, QLD 4220. Brand: TUTU PERFORM is an Australian Dance Costume Company that promises to source only the best fabrics and tailors internationally to provide you stunning and innovative costume designs for dance eisteddfods, competitions, recitals, dance concerts and school productions. TUTU PERFORM sells exclusively to dance studio owners, dance teachers, musical societies primary & secondary schools pre-made and custom ‘Design Your Own’’ dance costumes. Location: Wills Avenue, Castle Hill, NSW, 2154. Brand: Xplosiv is a one-stop-shop for affordable costumes, accessories, uniforms and dancewear. 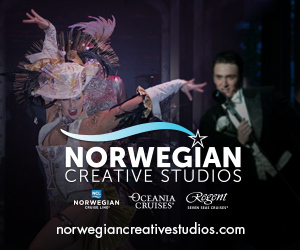 It's director has over 25 years experience in costume design and ordering. Location: 78 Agincourt Rd, Marsfield, NSW 2122.